We are looking forward to introducing the fall collections into our stores from July. 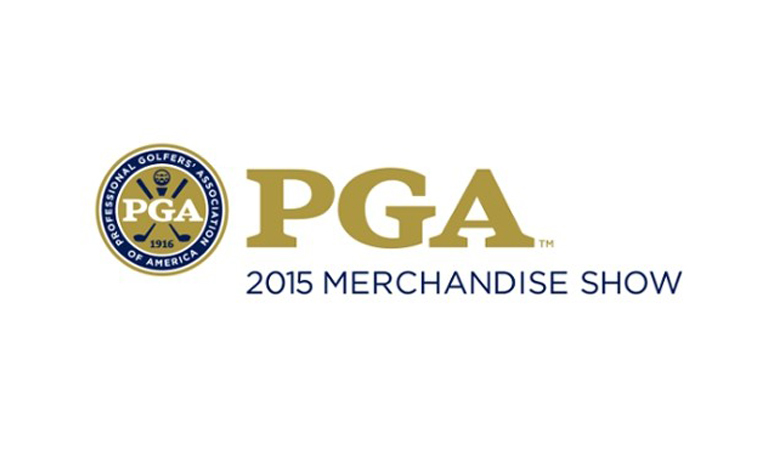 In late January we once again attended the PGA Merchandise Show. 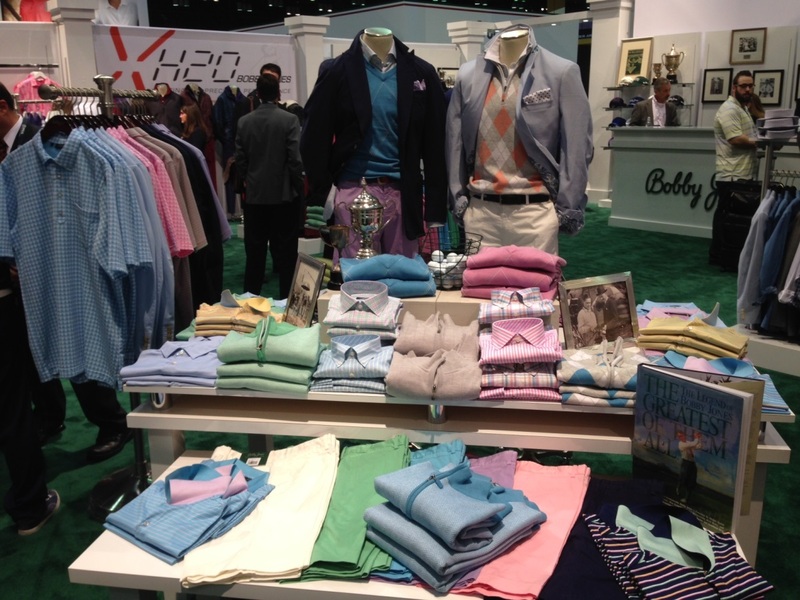 The PGA Show gives us the opportunity to meet with our suppliers, present them with feedback and, most importantly, view and buy our collections for fall. For fall 2015 our key colours are a blend of blues, greens, purples and greys. 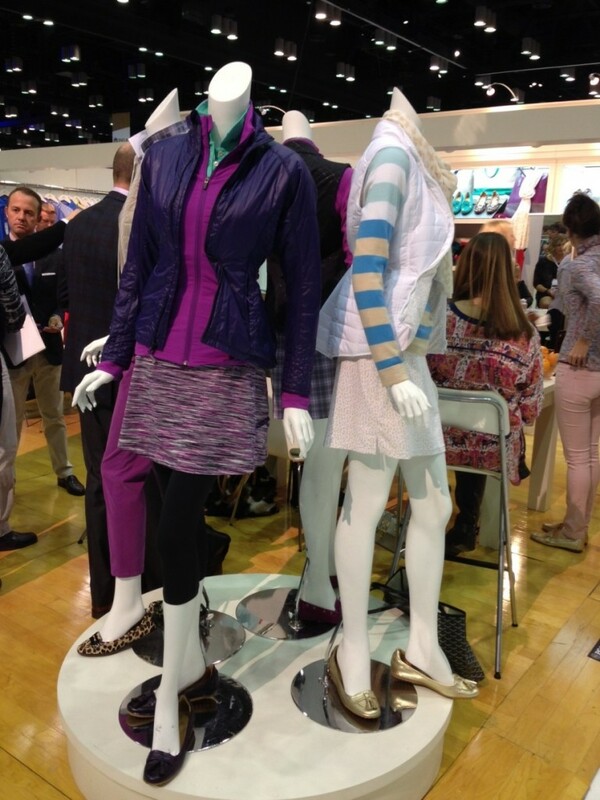 These colours have been interpreted in a mix of different ways to create unique colour stories to suit any golfer’s style. For Reactive, a collection based on a more modern, active lifestyle in comparison to Vintage Tradition; there are warmer, brighter colours in shades of pink and blue. Peter Millar, one of our bestselling brands at the moment, presented their fall colours with blues and greens, again being a popular choice. The colours which stood out to us where the traditional mix of black and white, highlighted with a touch of Electric Blue. 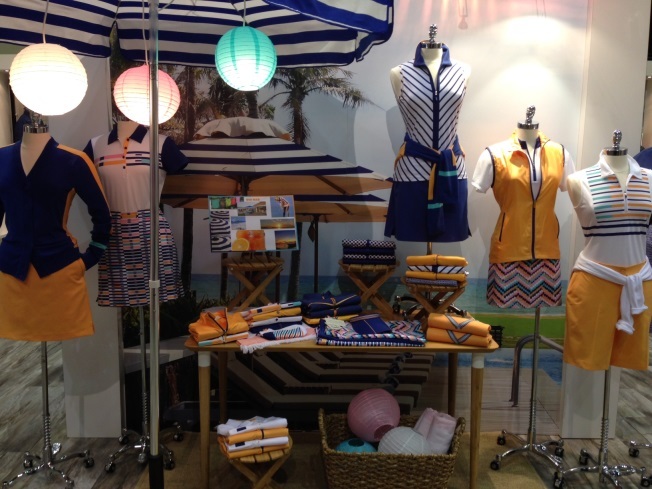 For their ladies collection, Peter Millar have chosen skyline and hibiscus as their key colours. 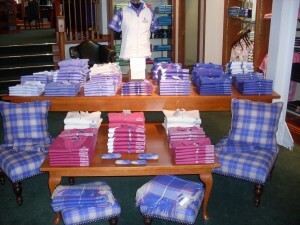 These shades of blue and purple compliment the popular colours within the men’s range but with a feminine twist. 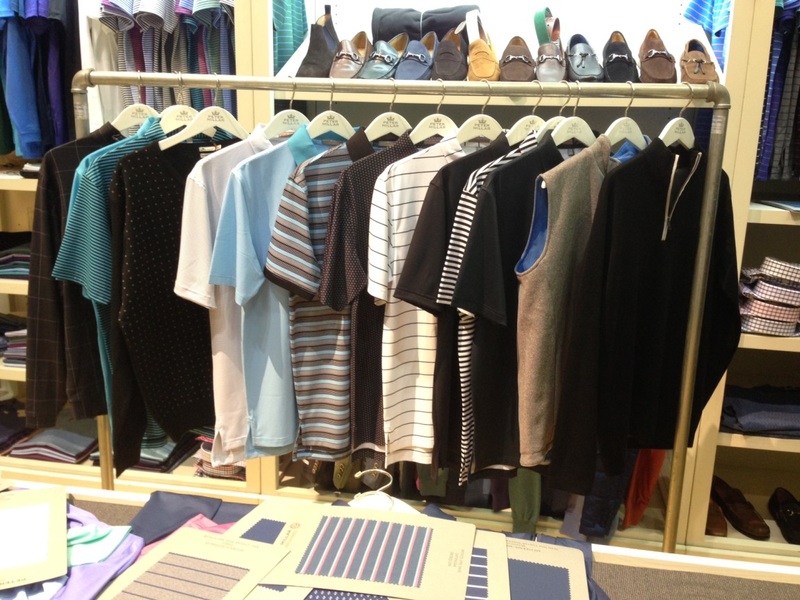 Our key ladies supplier, EP Pro presented their fall collections with the bold colours of blue, orange and grey. The first collection, Melbourne, uses the colours of waterfall blue and grey and pulls them together to create the key snakeskin print pieces. The second collection, Rio Mar, completes the transition from summer to fall with the warm tones of orange (marmalade) and blue (twilight) pulled together to create various jazzy and striped pieces. 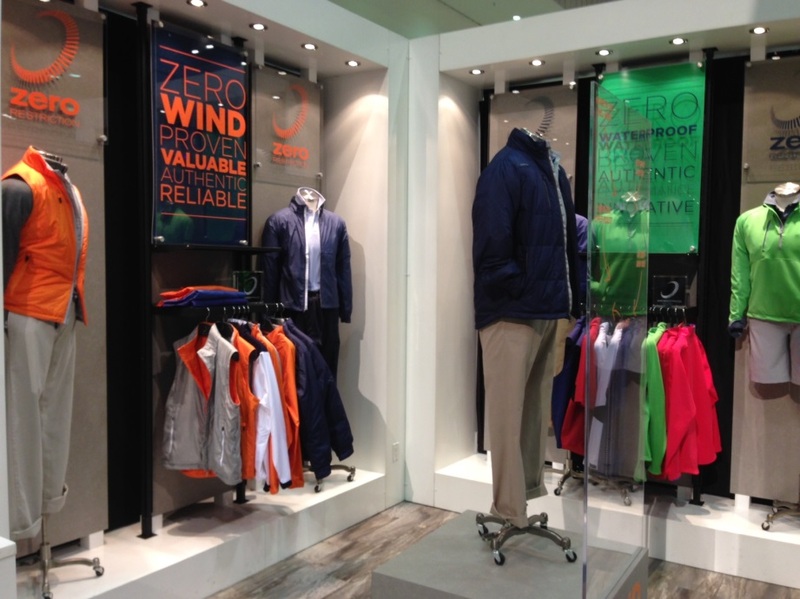 For our men’s and ladies rainwear section, you can expect to find all your favourite pieces with a fall update. The key colours from Zero Restriction for the men’s will be a green and blue colour story highlighted with key black and grey pieces. For the ladies, the key colour will be pink with an additional splash of blue especially for fall. 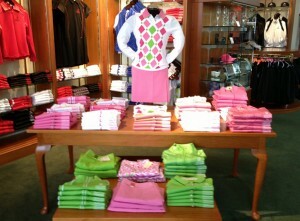 Also keep an eye out for the fall collection from new brand Donald Ross. 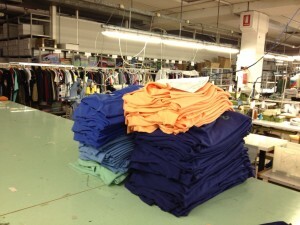 They will be introducing themselves to St Andrews in spring and then a small fall collection with a blazing orange and pacific blue colour story. Yet again one of the key fall colours, blue, is prominent and is complimented this time by warm orange tones perfect for fall. 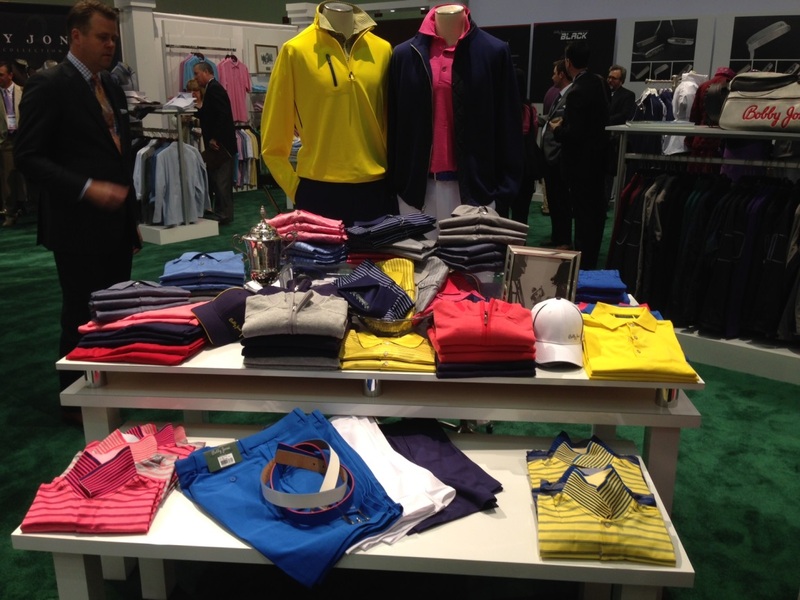 We will also have new fall collections from Marbas, who are our own label supplier, as well as some key new pieces from Swiss brand KJUS who are also being introduced for the first time at The Home of Golf. KJUS are introducing colours to St Andrews that would typically be seen on the ski slopes but transition perfectly to the golf course. The colours that our customers can expect to see in stores are a mix of Alaska Blue and Atlanta blue complemented with a touch of Grey Owl – a popular colour for rainwear. The fresh shades of blue will add a pop of colour to our rainwear collections alongside the traditional shades of black and grey. With The Open year upon us, there are exciting times ahead and we are looking forward to introducing the fall collections into our stores from July and welcoming our visitors into any of our five stores.